After a year as Marketing Director, I decided to move on to a new challenge. I've been getting up to speed since late August, and I am now Steve Jackson Games' newest Translation Licensing Administrator. 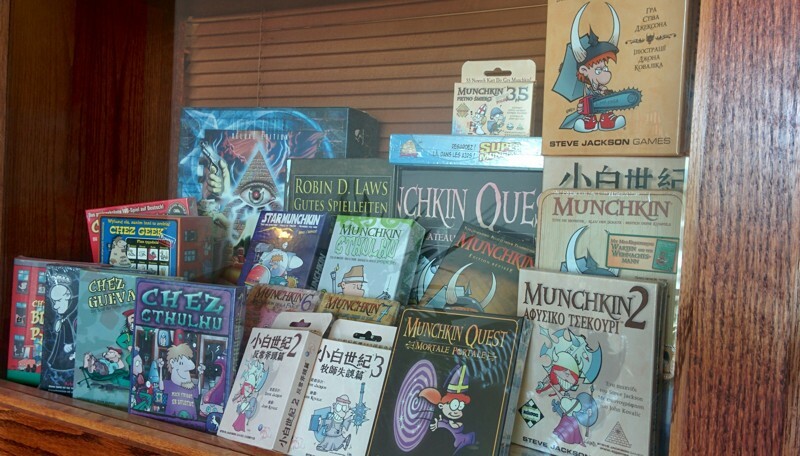 Munchkin, GURPS, and some of the other titles in our vast catalog have been translated into over a dozen languages, and we have the privilege of partnering with several top-flight game companies around the globe. It'll be my job to help these folks get more stuff to print quickly and efficiently, to keep the lines of communication humming along, to seek out new markets for translations, and to help keep all of you more informed as to what's available from us internationally. I'm extremely excited about the new gig, and I'm looking forward to sending out more updates.